The social services are looking for a very experienced foster carer to look after Aimee and, when she reads the referral, Cathy understands why. 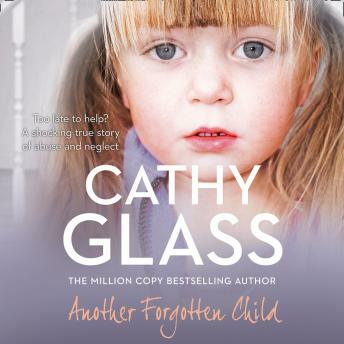 Despite her reservations, Cathy agrees to Aimee on - there is something about her that reminds Cathy of Jodie (the subject of 'Damaged' and the most disturbed child Cathy has cared for), and reading the report instantly tugs at her heart strings. When she arrives, Aimee is angry. And she has every right to be. She has spent the first eight years of her life living with her drug-dependent mother in a flat that the social worker described as 'not fit for human habitation'. Aimee is so grateful as she snuggles into her bed at Cathy's house on the first night that it brings Cathy to tears. Aimee's aggressive mother is constantly causing trouble at contact, and makes sweeping allegations against Cathy and her family in front of her daughter as well. It is a trying time for Cathy, and it makes it difficult for Aimee to settle. But as Aimee begins to trust Cathy, she starts to open up. And the more Cathy learns about Aimee's life before she came into care, the more horrified she becomes.